The level of interest and passion that is associated with mobile devices, especially those running the iOS and Android operating systems, is something that has skyrocketed over the last couple of years. With the imminent release of the new iPad and Google making some noise about future versions of the Android OS, it seems that consumer interest is only going to increase in the near future.The release of the Ice Cream Sandwich version of Android was made public in the final quarter of 2011, but due to the way Google handles allowing manufacturers to update their firmware, it has seen a relatively tiny uptake, with approximately 1% of Android devices in existence running version 4.0. Android fans are understandably looking forward to seeing a batch of handsets being released which comes with Ice Cream Sandwich as a stock installation, with one such handset being the HTC One X, due for release in the UK around April time and in the United States in the summer. It would seem that thanks to the guys over at MoDaCo, HTC and Android fans will have an additional reason to want the new smartphone device released. Utility, known as ‘Superboot’, has been released which will root the device on first boot by installing su and the superuser APK. 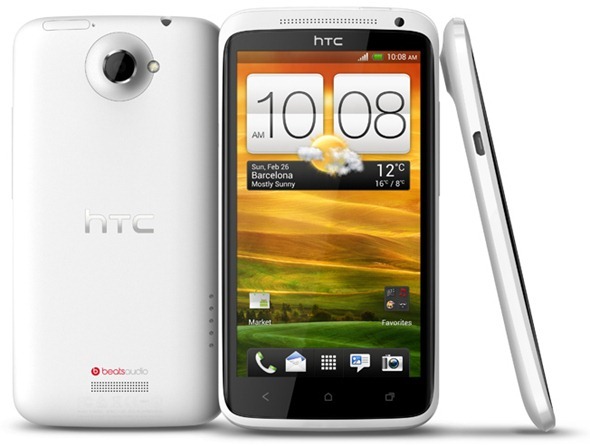 The little script is known to work on any retail One X device that has S-OFF and contains an HTCdev unlocked bootloader, but will be updated when the actual consumer versions of the HTC One X are launched. The fact that the One X has been rooted before it even gets shipped to the public is reminiscent of the Galaxy Nexus and shows the dedication and ingenuity of the Android development world. If this is the kind of thing that interest you then see the step by step guide below on using the Superboot utility on Windows, Mac and Linux machines. Step 1: Download the Superboot compressed zip file and save it to a familiar location on your computer. Step 2: Make sure that you device is booted up into bootloader mode. You can achieve this by powering the handset down, then turning the device on with the ‘volume down‘ button depressed. This will force the phone to boot up into its internal bootloader mode. Step 3: Extract the contents of the ‘r1-endeavor-superboot.zip‘ file that we downloaded in step 1 and save the folder to a known location. If you are a using a Windows based machine to perform this process then see step 4. If you are a Mac OS X user then skip to step 5. Linux users, see step 6. Step 4: Locate the folder containing the extracted files. Double click on the ‘install-superboot-windows.bat‘ file [WINDOWS ONLY]. There you have it, in a few simple steps users should have root access to the HTC One X smartphone allowing all of the beautiful freedoms it brings. Be aware that the Superboot image is classed as insecure which allows users to use adb remount as well have granting full ADB root access to the One X. This will be case until the device is rebooted as it classified as a fastboot boot rather than a fastboot flash.